It’s almost ready: The first release in my new EP-series. This first ‘Volume 1’ is inspired by my many webcam-performances aka ‘Low Key/Late Night-sessions’ – watch them all on my YouTube-channel – and features just me with an acoustic guitar doing 6 cover songs in a “Tim kind of way” – very minimalistic and intimate. The 6 songs are as follows: Shot In The Dark (Ozzy Osbourne), Enjoy The Silence (Depeche Mode), Next To Me (Emeli Sandé), Hunting High & Low (a-ha), How Am I Supposed To Live Without You (Michael Bolton) and A Way To Say Goodbye (Mike Viola). All recorded over a few days at STC Studios in Copenhagen by Frank Birch Pontoppidan in the fall of 2012. 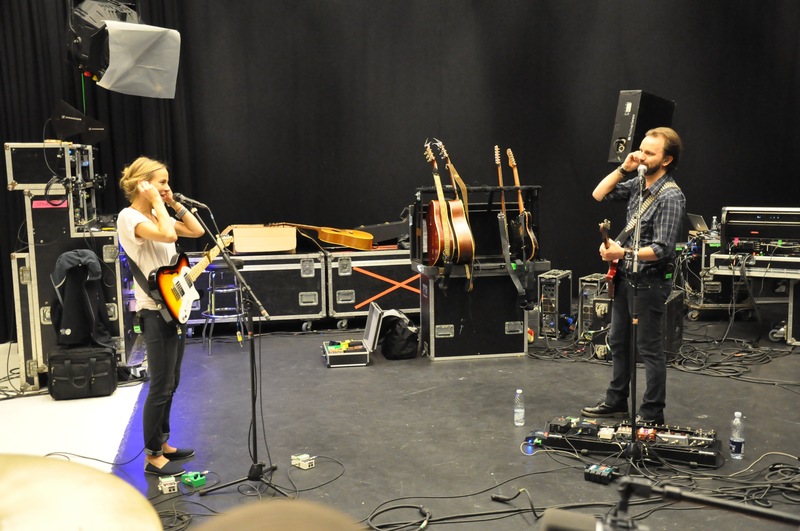 Rehearsing with Gemma Hayes for the show in Aarhus, August 2011. 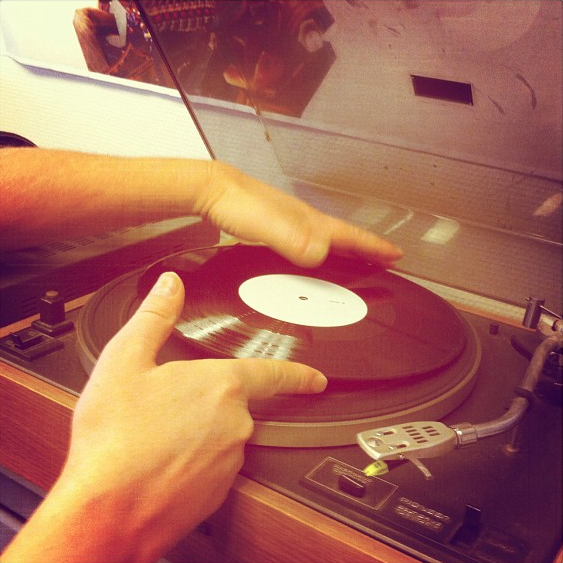 Listening to the vinyl test-press at the Mermaid Records-office. “Volume 1 in my EP-series”, det tegner jo godt for fremtiden ;-). Jeg stemmer for en eller anden udgivelse fra koncerten på Aarhus Rådhus med dig og Gemma. Det var virkelig virkelig godt og jeres stemmer lød fantastiske på hinandens sange. can we buy from japan?? wow, thank u for replying Tim! You on an acoustic is just THE BEST !! Download code virker ikke..Webpage eksisterer ikke!!!!!!!!!!! Der kommer kommer username og password frem. hvad der det. Jeg har skrevet min kode og det nummer ind der står nederst. det virker ikke. Hvornår kan man forvente den når man bestilte d. 12.12? Jeg vil rigtigt gerne købe den, men har ingen pladespiller, og har ingen planer om at købe en. Og er lidt ked af, hvis jeg skal nøjes med mp3-kvalitet via download-koden. Kommer den på CD på et tidspunkt? Hvordan kan man tage sig til takke med med MP3 ? Min søde datter og svigersøn gav mig EP’en i julegave. Selv om jeg har en grammofon, ville jeg downloade MP3’erne, men jeg får også den besked, at siden ikke eksisterer – DET ER DA IKKE GODT NOK!!! Iflg. den label, der sidder på coveret, skal man gå til http://www.myplaydigital.eu/timcepl for at downloade. Nu har jeg prøvet de første 30 gange, og hver gang får jeg beskeden, at siden ikke findes. Det virker – havde samme problem…..
Hej Tim, når jeg taster min download kode får jeg en meddelelse om den ikke er valid. Jeg har fået flere personer til at læse den for mig og vi er alle enige om de bogstaver og tal som der står. Hvad gør man så? Second, after your show in Tivoli, my wife and I wanted to score some EP/LP’s, but first we had to leave the theater and go to the bank somewhere in the city. We wanted the LP “Pure McCartney” and your EP “VOLUME 1: Acoustic Covers”. Before the show we already bought a CD, so after the show we missed only eighty cents…… and we had to go to a bank for some extra money, so we went as quickly as possible. 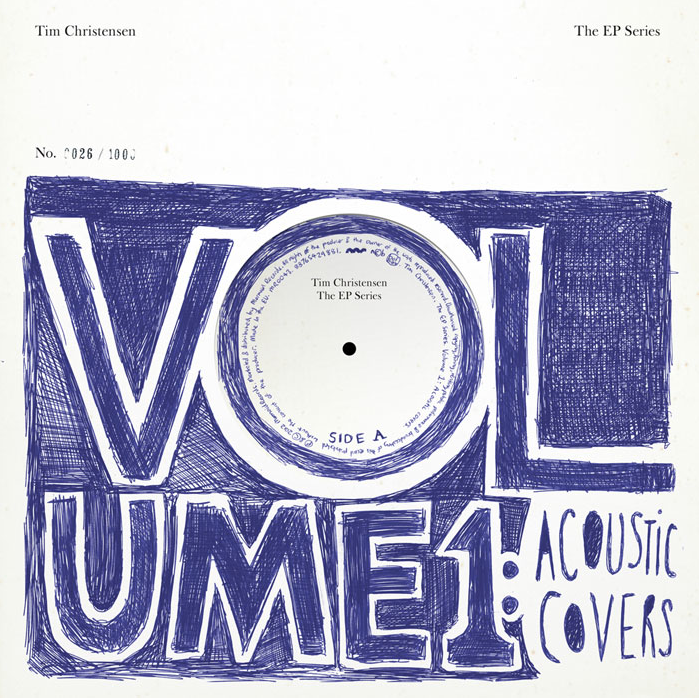 Unfortunately all the EP’s “VOLUME 1: Acoustic Covers” were sold out when we came back. Next time we will prepare us much better. In your webshop the EP is also sold out. Is there any way to buy the EP anywhere. Would you reprint the EP again? Anyway, thanks for your music which is clever made, with beautiful surprising twists in tonality, but most of all they are truly truly songs!!! Hello Tim, thanks for replying. It’s great you can help me to get the beautiful EP. Knowing you must be a busy man, I appreciate it very much you want to spent some time for a stupid guy in the Netherlands who wasn’t fully prepared before going to a concert. I have tried to contact you on your Facebook account, but I figured out it’s not possible without having a account myself. Don’t spend much time about this, it’s better to spend time on composing a new song, or something else within your precious time. Far more important then me having the EP.